The Ionian islands provide many diverse and romantic settings for a more unconventional wedding or memorable honeymoon. Whether you are considering a civil ceremony, religious blessing, an Orthodox wedding or a commitment ceremony then each of the islands has something to offer you. We can help you plan that special occasion. If it’s just the accommodation you want help with – call us to discuss. 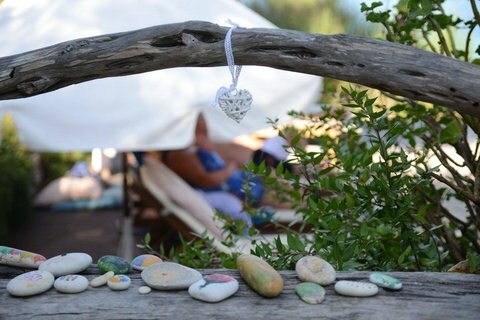 If you want help with planning an Ionian wedding … we work closely with individual Wedding Planners, each of whom specialise in specific Ionian islands. We can help you decide which island is best suited to you and to give you an idea of the costs. We can then put our Wedding Planner in touch with you to discuss in more detail. Our Wedding Planners will look after all paperwork, translations and other formal procedures; help you to select the ceremony and reception venues; floral decorations; venue styling; catering; photography; beauty and entertainment. They will be on site to ensure everything goes smoothly. We have known Andreas and Jane Palikiras for many years. They run Ionian Weddings with a concentration on Corfu, Kefalonia and Zakynthos. They offer tailor-made advice and information regarding all types of wedding ceremonies and receptions with options to suit all tastes and budgets. 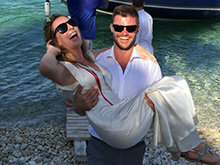 On Ithaca, Susan White is our Ionian Villas island manager and Wedding Planner. For over 22 years living and working in conjunction with the local people of Ithaca has provided Susan with an excellent understanding of customs, traditions and local knowledge. Susan’s mastering of the Greek language has opened locals’ hearts and arms and given her full acceptance within the community. 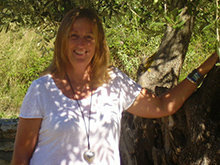 On Lefkas and Meganissi, Claire Salisbury knows the islands intimately. 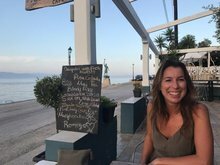 On Paxos, Samantha Dasilva is a year round island resident and has an immense passion for the island. With this passion comes a wealth of knowledge and contacts for all that concerns your special day. Sam is also a qualified beautician specialising in wedding make up and a further range of beauty treatments complimenting the wedding day for you and your guests. We are able to offer some stunning island properties for wedding receptions, both large and small.